The media in the run-up to the Wagner game has been more upbeat than one might think considering the Mountain Hawks' 0-4 start. That's not to say that head coach Andy Coen is at all happy with how things have started, but his answers to this week's media questions were not what some fans may have expected. On Lehigh Sports Central this week, he said he felt like Lehigh was more competitive against Penn than they were against Yale. "We just continue to make mistakes," Coen said. "We got the ball first, and turned the ball away.. we've got to get away from all of that stuff, and start playing better football." 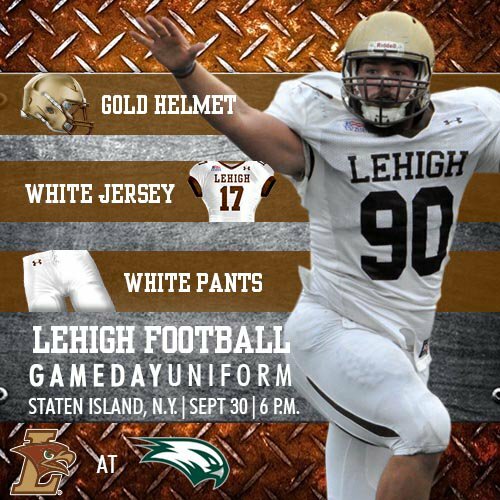 Lehigh has never played Wagner in football, despite the fact that the schools are separated only by an hour and a half drive and that the institutions both sponsor FCS football in an area of the country where nearby opponents are sometimes hard to come by. 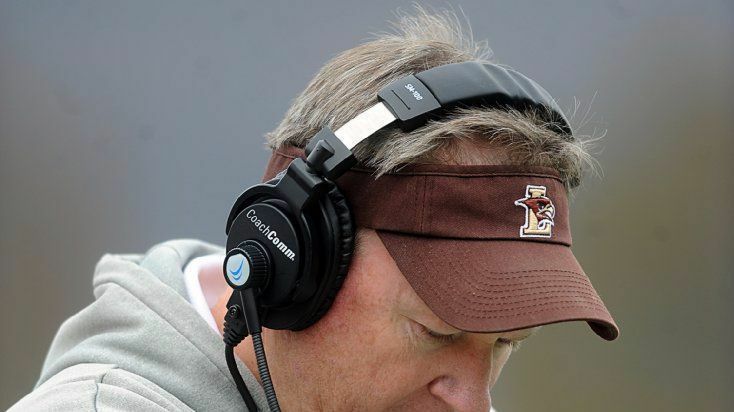 Long-time Patriot League fans might remember Wagner as legendary Lafayette head coach Bill Russo's coaching stint before he came to Easton to coach the Leopards for an 18 year stretch from 1981 to 1999. Back in those days, Wagner was a Division III school, playing local schools like Iona, Pace, Seton Hall and Fordham, during a time when it was OK to field a Division III football program and a Division I athletics program (this is something that is no longer allowed today). Since then, though, many Lehigh fans may not know that much about Wagner College, the Seahawk football program, and their ascent to becoming, eventually, and FCS playoff team. So, the hard work continues, and Coen said there has been no indication of surrender. "Offensively we've done OK but when you lose, you lose, and stars don't really matter," said junior OL Liborio Ricottilli. "We have to limit the turnovers, we'd get in the red zone and turn it over. That's a killer." Ricottilli brings a wrestler's toughness to his spot - he was a district champion in the very competitive Youngstown area of Ohio and won over 60 matches at 285 pounds. "I like to recruit wrestlers," Coen said. "I like guys that can move their feet." Ricottilli's feet work fine in pass blocking but he said he needs to be more physical on run-blocking. "A lot of that falls me on me," he said. "My run blocking needs to be better." Senior DB Quentin Jones said the main advantage with the 4-2-5 is more flexibility within the secondary. Montgomery and Jones said the transition has not been that challenging. Lehigh fifth-year senior defensive lineman Jimmy Mitchell has been named one of 181 semifinalists for the 2017 William V. Campbell Trophy, presented by Fidelity Investments, it was announced Wednesday. The William V. Campbell Trophy recognizes an individual as the absolute best football scholar-athlete in the nation. Mitchell, a native of La Grange, Ill., carries a 3.48 cumulative grade point average. He is a finance major and is using his fifth year of eligibility to pursue a second degree in accounting. Mitchell was an Academic All-Patriot League honoree in 2016 and is already a three-year member of the Patriot League Academic Honor Roll. A three-year contributor, Mitchell has started at nose guard for Lehigh the last two seasons and serves as one of the Mountain Hawks' team captains. In 27 career games he has 33 total tackles, four tackles-for-loss and three sacks. Through four games in 2017, Mitchell has a pair of tackles and blocked an extra point at Monmouth. Maybe the problem is the gold dome helmets (again) sigh. Perhaps if the coach showed a little panic, LU could give these average to poor FCS teams a competitive game in 2017. I hope there is a sense of panic after this one. There are no words to paper over this fiasco. How Will I Watch Lehigh At Wagner This Evening?